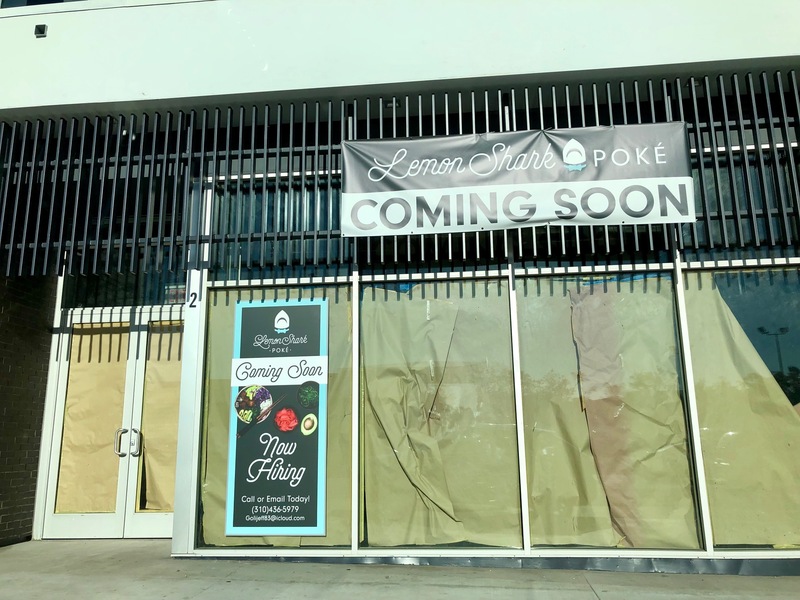 It looks like the poke craze isn’t over yet… I’ve been watching the ground floor of the new development on the corner of Overland and Washington in Culver City. Starbucks and Jimmy John’s have already moved in, but here are still many vacant storefronts. There’s soon to be one less. A banner is up on the space just to the left of Jimmy John’s announcing an upcoming branch of LemonShark Poké. With a smattering of locations across the US, expect build-your-own and signature bowls, Hawaiian katsu grill bowls, and various sides and salads. This entry was posted in News and tagged Culver City, Jimmy John's, LemonShark Poke, Starbucks by toddrickallen. Bookmark the permalink.